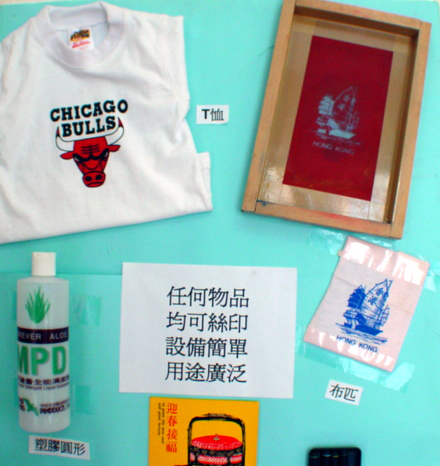 Screen Printing is widely used in many industries, it can be printed on different kind of surfaces such as plastic, paper, wood, metal, stone, leather, cloth and china. Artists usually use this printing skill to copy their artworks. Watch surfaces or bottles can also printed by screen printing. 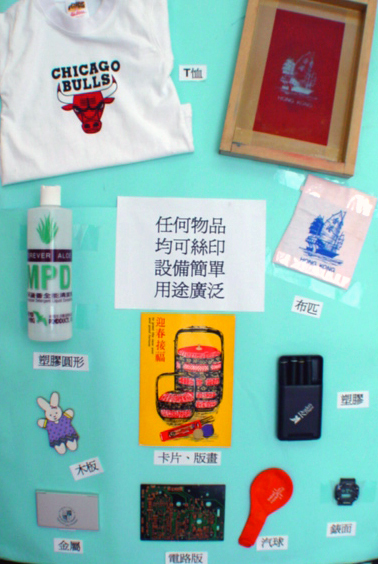 Thus screen printing can be printed on everything except air and fire. Moreover the equipment used is simple and doesn't need a large working space. Wai Hang Company was founded by Chan Wai Fan in 1978. We run a screen printing course. For people who want to know more about this technology. Our students can even ask questions when they finish the course. We are also an equipment wholesale provider. You can come here to buy something and do the printing by yourselves. We want to provide an environment for the screen printers to join together and discuss with each other to improve their skill. We are also promoting a photo badge making machine. The main point of the machine is that it doesn't need power. You can hand carry it everywhere. The investment is low but it can help you earn a large profit. It is suitable for different industries, such as tourism, schools or social associations. This is good for promoting your products or services. For example, you can make a unique name badge for each person attending your meeting. If you don't want to purchase the machine, we can help you to make the badges and deliver them to you. You just need to send your image files to us. We can print it and make badges for you. 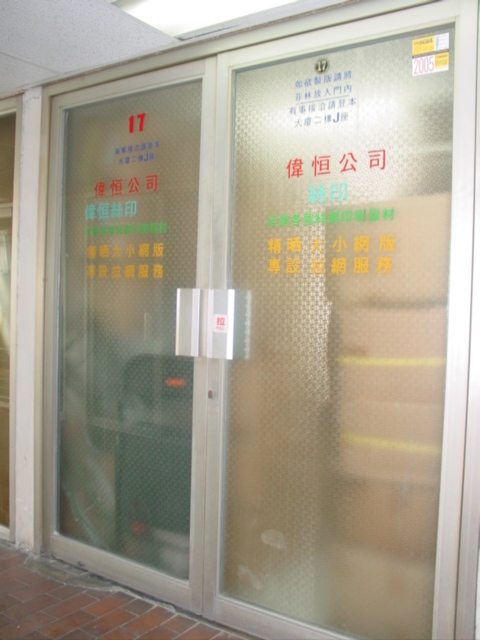 For more information please contact us [ Telephone is (852) 2779 5462 / fax is (852) 2788 1895 / email is info@wai-hang.com.hk ].